I know it's not even Thanksgiving yet, but I'm listening to the Glee cast's Christmas album on repeat already! I'm a sucker for a good holiday album (I have 100+ holiday tracks on my iTunes), but this is one that you can buy without hesitation, especially if you're a Gleek like me or need the perfect gift for a friend who is! You can buy it on iTunes or Amazon.com, and a guarantee you won't be disappointed. This cast was made to put out crowd-pleasers like this. Among my favorites? "We Need a Little Christmas", from the Broadway musical Mame, is one that I can't get out of my head. The mash-up (oh, how I love a Glee mash-up!) of "Deck the Halls" and "Up on the Rooftop", with a beat reminiscent of Beyonce's "Single Ladies", is really fun and danceable. And this group of 'high school misfits' is adorable on "The Most Wonderful Day of the Year" as the inhabitants of the Island of Misfit Toys. Another song of note: the duet between Chris Colfer and Darren Criss. "Baby, It's Cold Outside" is one of my favorite winter songs, and I already had two versions on my iTunes (Dean Martin and Lady Antebellum!). This is the first time I've heard it sung between two guys, and it is super sweet. 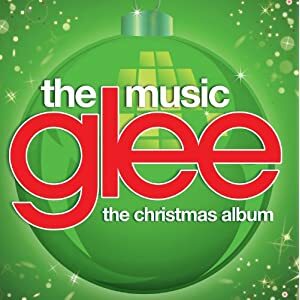 But the magnum opus of this album is the rendition of "O Holy Night", heavily featuring Lea Michele (a.k.a. Rachel) and giving me goosebumps every time. Considering I've just rattled off nearly half the album as wonderful (and have to prevent myself from raving about all the rest), it is clear this holiday album is my new favorite!